Off-spinner Ravichandran Ashwin has re-signed a deal with Worcestershire for the County Championship, slated for a small period after the five-Test series against England. He will replace South Africa's Wayne Parnell as the overseas player for the club. He will join the team only for two games, against Essex and Yorkshire. We are delighted to have Ashwin coming back for what could be a key part of the season,"
"He is one of the best spinners in world cricket and the influence he had when here last season cannot be under-estimated. The lads all speak so highly of him, the impact he had on the field and the way he slotted in so well off the pitch and he was willing to offer advice to our young spinners like Ben Twohig", Matt Rawnsley, the Worcestershire CEO, was quoted as saying". 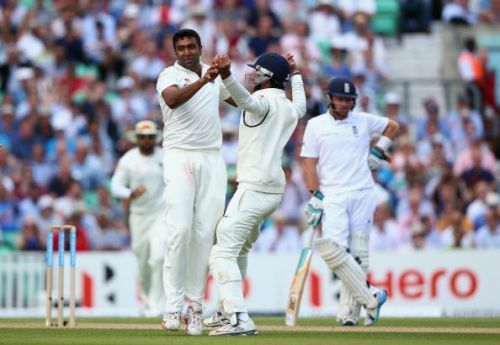 "Ashwin is world class and he loved it at Worcestershire. Conversations have been ongoing about him coming back and I'm sure he will be a great fillip for us. "He had a massive input for us on and off the field last summer in helping us gain promotion and he is a high-class individual", he said. Ashwin is part of the squad that will take on England in the five-match series starting August 1. Ahead of the series, India will play a four-day game against Sussex, starting July 25. After the end of the tour, Ashwin will stay back and complete the brief stint. His initial stint with the club turned out to be a fruitful one, as he picked up 20 wickets from four games, also helping Worcestershire qualify for Division One. He also averaged 42.50 with the bat.